It is that time of the year again, the time when one must begin patiently waiting for the arrival of yet another Jamie Dornan film. “Fifty Shades Freed” is the third and last installment of the popular obscene romance “Fifty Shades” trilogy by British author E. L. James. Not to any surprise, this heart-thumping flick slides into theaters on Valentine’s Day. Arguably, the second movie takes things to the next level between protagonists Christian and Ana but “Freed” truly brings home their love story after a recent engagement. The next installment is all about undertaking demanding situations and coming out stronger on the other side. Fans have already been served enticing trailers, interviews and details about the production, but there are many more mysteries that will not be discovered until its release. Yet another sequel, “Mamma Mia! Here We Go Again” is an upcoming trendy musical film directed and written by Ol Parker. 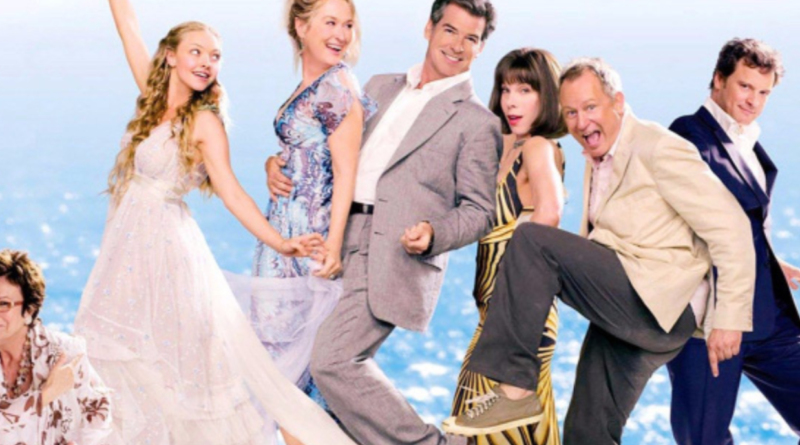 It is a continuation of the romantic 2008 film “Mamma Mia!,” which is based on the musical of the same name. Scheduled to be released on July 20, the cast is thrilled to be back and rearing to show the world their passion for this storyline. Young Donna, Sam and Harry are predicted to forge relationships that resonate in the present. Adding on to the anticipation, “Jurassic World: Fallen Kingdom,” directed by J.A. Bayona, is the current upcoming sequel to “Jurassic World.” At a worldwide release date of June 22, this will be the fifth installment to the Universal Pictures film series. Currently in production, ex-military man Owen Grady encounters terrifying new breeds of colossal dinosaurs. This terrifying science fiction adventure film is predicted to have viewers at the edge of their seats. The fifth “Jurassic Park” film is expected to take a huge bite out of the box office when it hits cinemas this upcoming summer. Students across campus look forward to the upcoming films as well, expecting big things upon each release. “Between ‘Mamma Mia!’ and ‘Jurassic World,’ I know filmgoers like myself will be delighted with what we see throughout the coming year,” said Frank Torres, sophomore.